The Tenth Circuit Court of Appeals dismissed an appeal after finding that an expert witness’ methodology was flawed and that he failed to rule out idiopathic origins. Samantha Hall grew up near a ConocoPhillip’s refinery in Ponca City, Oklahoma. When Hall developed Acute Myeloid Leukemia with Inversion 16 approximately 20 years later, she claimed that it was due to her childhood exposure to the refinery’s emissions of benzene. Hall called three expert witnesses to testify at trial court: Dr. David Mitchell, an air modeler; Dr. Steven Gore, an oncologist; and Dr. Mary Calvey, an epidemiologist. Dr. Mitchell created an air model to estimate the benzene concentrations near where Hall had lived. Dr. Gore used these estimates to calculate Hall’s cumulative exposure to benzene and opine that benzene exposure has caused Hall’s leukemia. Dr. Calvey gave a similar opinion. ConocoPhillips moved to exclude the opinion testimony of expert witnesses, including Dr. Gore and Dr. Calvey and summary judgment on the issue of causation. The district court granted the motion. Hall appealed the district court ruling. The Tenth Circuit rejected her challenge. The court found Dr. Calvey did not adequately address the issue of benzene exposure and the district court did not err in excluding her testimony. The court also found numerous flaws in Dr. Gore’s testimony. Dr. Gore used the highest hourly average-emission level to estimate Hall’s cumulative exposure to benzene. He was instructed to use this figure by Dr. Mitchell, who created the model. The court found that Dr. Mitchell was not adequately qualified to make this determination. The court also found that Dr. Gore made errors regarding the extent of Hall’s exposure to benzene. Dr. Gore assumed that Hall had lived near the refinery for eight years; however, Hall had lived near the refinery for only four years. Dr. Gore also stated that he used differing methodologies. Dr. Gore initially stated that he calculated Hall’s exposure by assuming that Hall had been exposed to benzene for one hour every day. In a later statement, Dr. Gore stated that he assumed exposure for 8 hours per day, 5 days per week, 50 weeks per year. Later, Dr. Gore testified that his second statement was incorrect and he had only assumed one hour of exposure per day. The court also found that Dr. Gore had been inconsistent about what he was calculating. He stated that he was calculating Hall’s exposure to benzene; at other times, he stated that he was calculating exposure to volatile organic compounds. These inconsistencies were important because benzene is only one of many volatile organic compounds. The court found that Dr. Gore failed to rule out idiopathic causes, or a disease in which the cause is unknown. 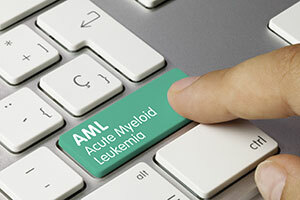 The parties agreed that acute myeloid leukemia is frequently caused by idiopathic sources. Hall presented expert testimony that 70-75% of acute myeloid leukemia cases are idiopathic. Dr. Gore did not rule out the possibility of an idiopathic cause for Hall’s acute myeloid leukemia. The court concluded that the district court did not abuse its discretion in excluding Dr. Gore and Dr. Calvey’s testimony and that, without this testimony, Hall lacked the evidence to survive summary judgment.